There is no person harder to find an appropriate birthday greeting for than a work colleague. If you are also friends as well as colleagues it is a lot easier but what about those people you only know enough to share a few words on your break, or those in a different office you only converse with via email. There is also a bit of a stigma, for some reason, regarding men sending birthday messages to other men. Crazy we know but it certainly exists. Corporate ecards are the solution to all of the above problems, as well as many more besides. Take this Birthday Scrabble ecard for example. It is fun, its gets your message across and is suitable for both sexes. 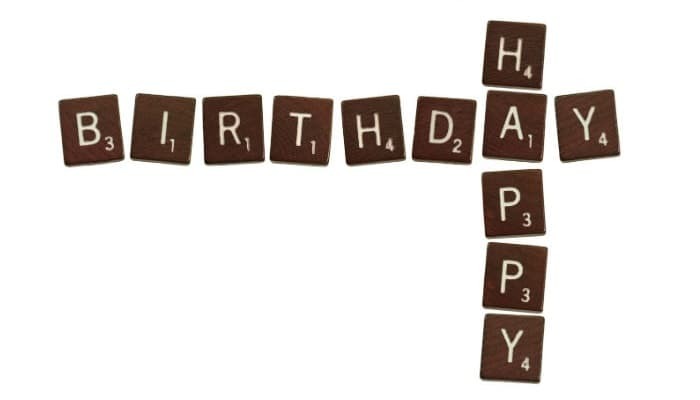 Perfect replicas of Scrabble tiles spell out the words Happy Birthday with an extraordinary attention to detail that even includes the points value of the tiles in the bottom right corner. Another clever detail is that the tiles aren't uniform; they are all somewhat askew just how the tiles invariably end up when you are playing this world famous word game for real. And guys, you can send these ecards to other guys without any worries of being called sloppy and you can even add your own jokey message. Would you be willing to consider sending out ecards this Christmas time to all of your clients? If so then have a look at the best Christmas ecards for business the market has to offer.